Control Room situated at a Uranium mine in Niger, Africa, placed on a structure overlooking a rock breaker/sizer, providing a safe and comfortable area for operatives to oversee and control the rock breaking/sizing process. 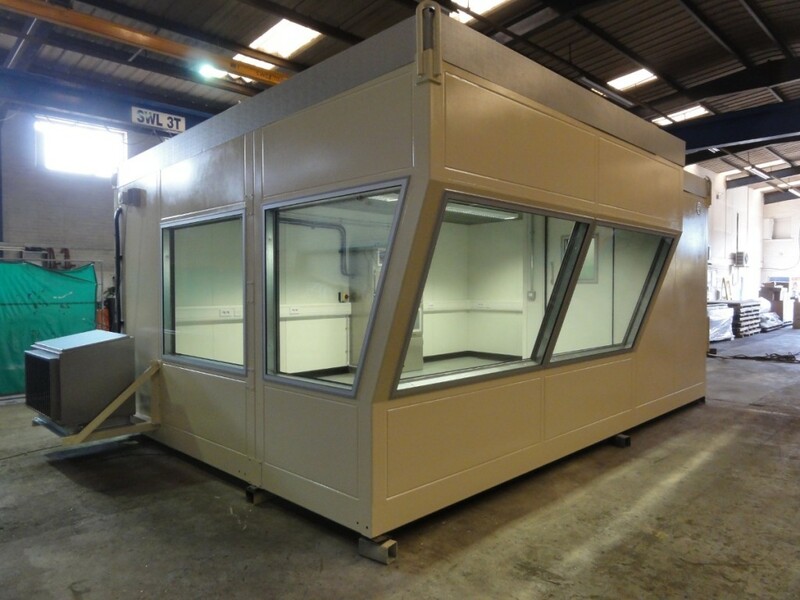 To design and manufacture the control room sized at approximately 6.0m wide x 4.5m deep x 2.8m tall, complete with internal fitments ready for installation and use on site. The required noise reduction was achieved using a high specification panel system. Control room manufactured in 2-separate modules, individually sealed and packaged for transportation to site. 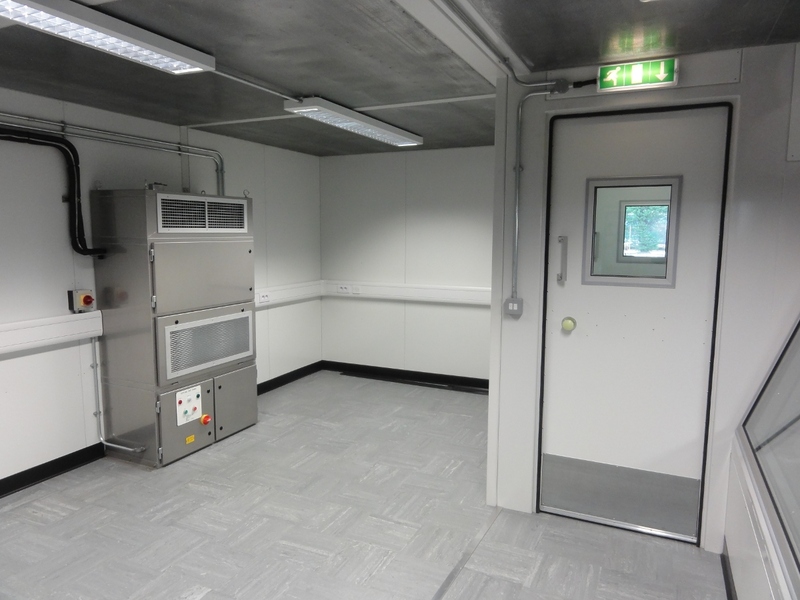 Access to the control room via two sealed man access doors separated by a passageway to prevent dust from entering the facility. Supplied with a custom made air conditioning system, of heavy-duty, stainless steel construction complete with sand louvres, designed to operate in sand storms and the extreme temperatures of the Sahara desert. 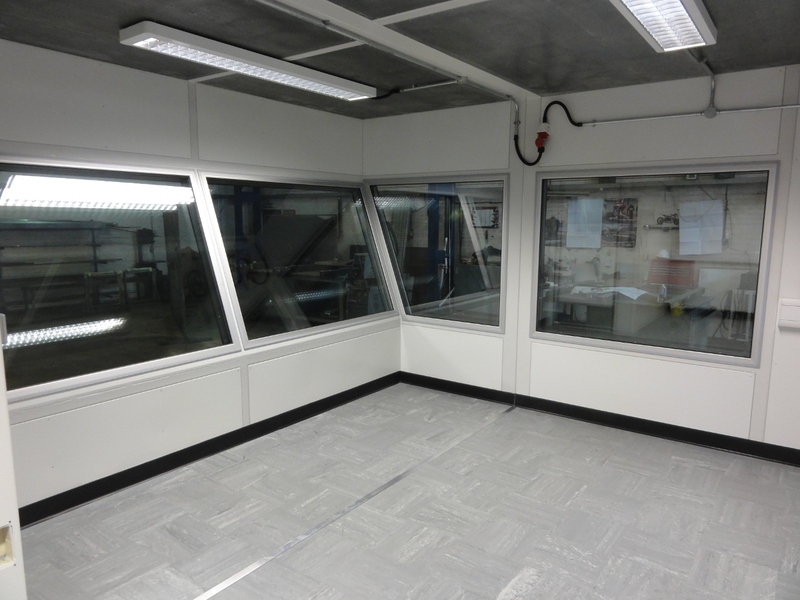 As well as providing a comfortable working environment for operatives inside the control room, the system also creates positive pressurization within the room to eject air and prevent dust from entering when the access doors are opened. Large, inclined, triple-glazed vision panels provide operators with a clear view of the rock breaking/sizing process. High specification painted finish to provide long term resistance against weathering. Inclined roof cladding to weatherproof and direct rainfall to the rear to the rear of the control room. Integral lifting points facilitates lifting the control room into position. Inclusive of internal lighting, emergency exit light fittings, emergency power packs, weatherproof external light fitting, telephone/data points and power sockets to suit the customers requirements. The control room provided a noise reduction of 44 dB(A) at 1 metre. The acoustic performance of the control room was independently tested and verified by a 3rd party organisation prior to dispatch. The testing was carried out in accordance with BS EN ISO 15667 and BS EN ISO 717 international standards.